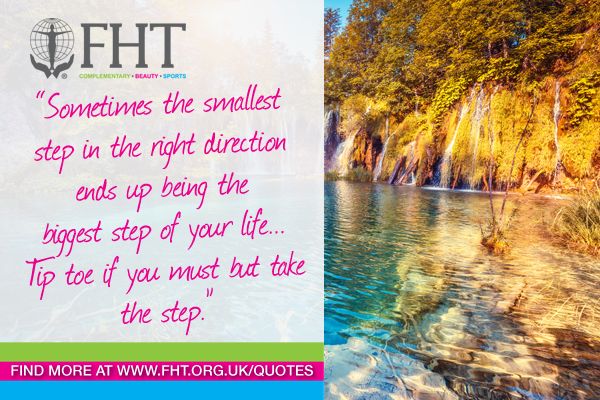 Quote of the week: “Sometimes the smallest step in the right directions ends up being the biggest step of your life… Tiptoe if you must but take the step” – Author unknown. Posted on 16 September, 2016 by Federation of Holistic Therapists (FHT). This entry was posted in quotes and tagged quotes. Bookmark the permalink.